Social Media Marketing World: Social Media's Mega Conference! 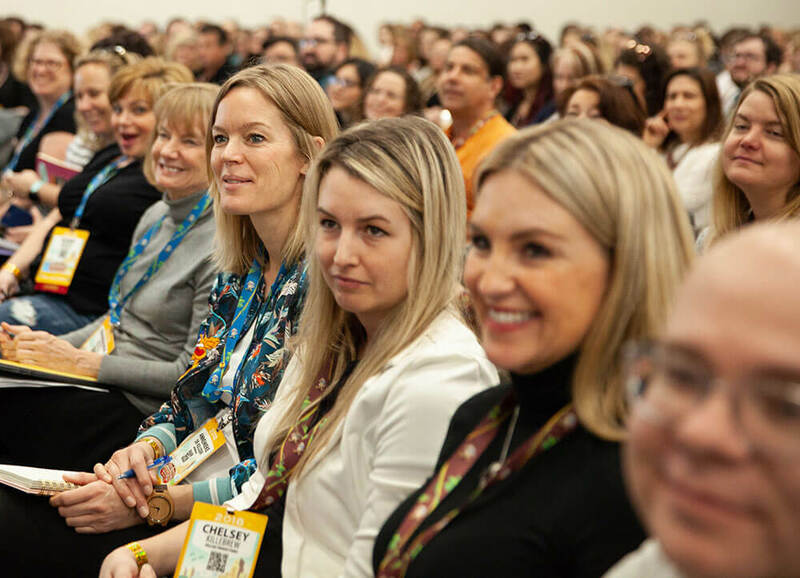 Experience three phenomenal days with the best social marketers, discover the latest tactics, and master social media in 2019. Join thousands of fellow marketers and influencers at the mega-conference designed to empower you with business-building ideas—brought to you by Social Media Examiner. Join us in San Diego, March 20 to 22, 2019. “This was honestly the best conference I’ve attended in my professional life,” said attendee Laura Kaslow. The best speakers, all in one place! Imagine gaining actionable tips from more than 100 of the world’s top pros who specialize in marketing with Facebook, Instagram, Messenger bots, live video, social strategy, content marketing, analytics, video creation, YouTube for business, LinkedIn, Twitter, Pinterest, Snapchat, and more. “The mindset, openness and amount of time the experts gave to us was head and shoulders above other conferences,” Noah Stanley. If you’re struggling to keep up with the ever-changing nature of social media marketing, this event is for you. You’ll be amazed how many people you connect with who are are just like you. Need more direction and guidance so you can move forward with confidence? You’re not alone. Thousands of people experience these struggles daily and they’ve found a place that changed everything for them. Imagine keeping up with important trends and knowing exactly how to successfully implement the latest techniques. Imagine getting 10X ROI every time you launch a campaign, create an ad, or start working on a new platform. Imagine having all the wisdom you need to support every marketing decision you make. Imagine forming relationships with people who become like family—your always-available, go-to group of peers who you can ask any question or present any new idea. Imagine having complete confidence with every strategy and tactic you present to your boss, colleagues, or clients. Imagine knowing you are up-to-date with everything that matters, and never having to worry about missing crucial information. This is why we exist: We give marketers like you the ability to get all the information you need in one place, personally connect with the top experts in the world, form lifetime relationships that’ll help you year-round, and gain the confidence you need to succeed in your job. “I found my tribe… The people who speak my language and understand my challenges,” Shelley Rostlund. What makes Social Media Marketing World so unique are the attendees. Most either own or work for businesses with fewer than 100 employees. They include social media marketers, consultants, solopreneurs, agency owners, network marketers, and corporate marketers. These are people just like you who are success driven, looking to connect with others, and enjoy having fun. This is a great opportunity to level up your skills, share ideas, find talent, get promoted, improve your influence, and find new customers. We also attract plenty of marketers from big businesses. For example, in 2018 marketers attended from Best Buy, Bose, CBS, Caterpillar, Cisco, and Colgate Palmolive, just to name a few. Feel overwhelmed by social media? Intimidated? Perfect, come along. Not only will you discover the latest strategies that will save you time, money, and resources, but you’ll also connect with other people who’ve walked the same path. You’ll form networks that will impact you long after the event has ended. Far along on the journey? If you’re a skilled social media marketer, come and discover the newest trends, expand your network, pick up your next client, and connect with the speakers. #1: The breadth of quality content: With your All-Access Ticket, you’ll be able to attend ANY of our sessions and workshops. You’ll have access to three days worth of business and life-changing content. Social Media Marketing World is a one-stop-shop for everything you need to know. “I really appreciated hearing from such a breadth of speakers about a variety of topics. Speakers were excellent in providing resources and suggestions that I could take back to my own world,” Ingrid Hoogendoorn. You’ll enjoy continuous learning opportunities in ALL of our session tracks (Facebook ads, Facebook organic, Instagram marketing, Messenger bots, live video, social strategy, content marketing, analytics, video creation, YouTube for business, corporate marketing, local business marketing, LinkedIn marketing, Twitter marketing, Pinterest marketing, Snapchat marketing, and blogging. 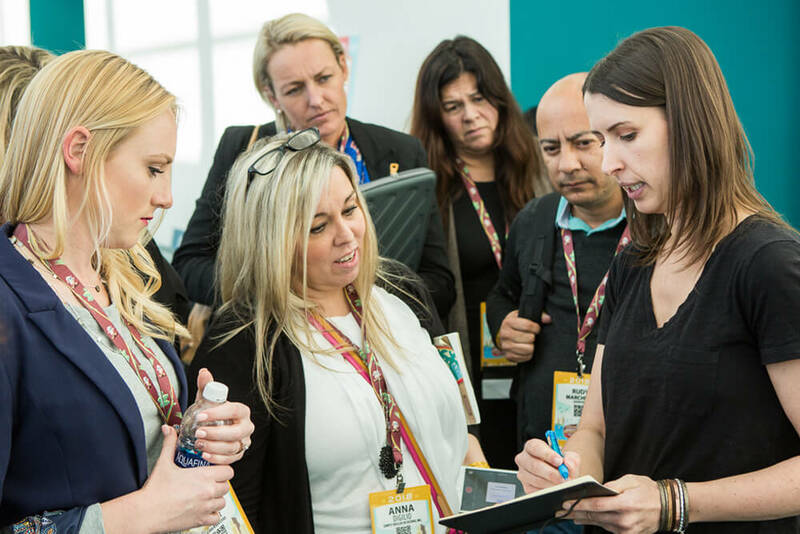 You’ll also access professional development workshops focused on content creation, conversion optimization, business building, future tech, and more. 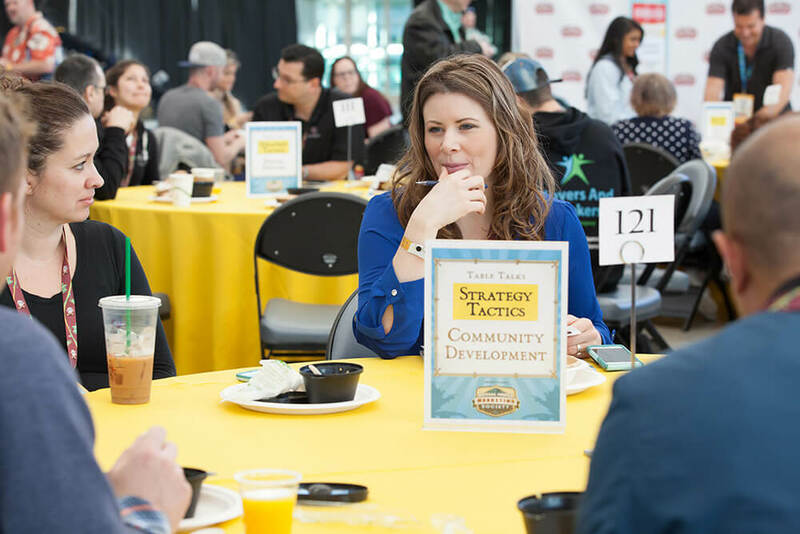 “An incredible way to learn from the top industry professionals, to meet them and other amazing people who are in the same industry with the same goals and needs,” Lowell Brown. #2: The connections you’ll make: Personally connect and create lifelong connections with people who speak your language, understand your challenges, and are dedicated to helping each other out. Want a place to sit and talk? Thinking about doing some video interviews? Our Networking Plaza is a large centrally located space where you can connect with people—on your schedule. You’ll make priceless professional connections because we built this event to help you find your people. Our Networking Embassy and Networking Ambassadors are all there to make it as easy and accessible as possible to help you connect with others. All-Access attendees also get exclusive access to our networking parties! “I personally thought that the table talks were genius. So easy to find people who are invested in the same interests,” Rebecca Moore. Unlike any other conference, Social Media Marketing World provides everything you need in one single place. Practical, hands-on content from people who really want to help. Finally, an event you can trust. “I came to San Diego hoping to learn valuable strategies and best practices for creating success on social media and left with knowledge I didn’t even know I was looking for that will completely transform the way I approach social media strategy,” Elena Griffo. I was inspired to experiment and try new things, especially with videos. It’s hard NOT to be inspired while spending all this time with experts and other like-minded people in this field,” Derek Hiebert. “I can say—with huge excitement—that I not only got a plan, but found valuable information, and connections that could only happen here,” Alita Fernandez. “I loved the content! I absolutely loved the variety, and the speaker choices. There was really something for everyone,” Amanda Rosen. 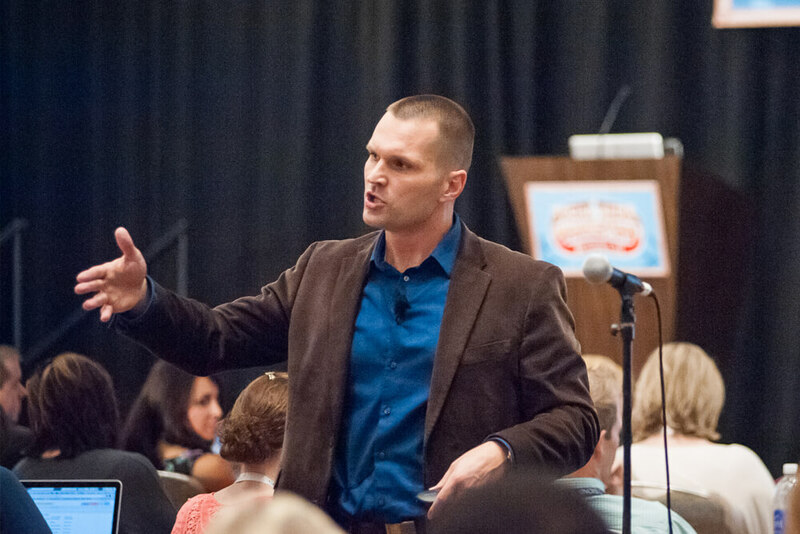 “SMMW is the ALL-IN-ONE conference that helps keep my business growing year over year. I do not want the competitors to go to this GREAT event,” Pecky Cox. 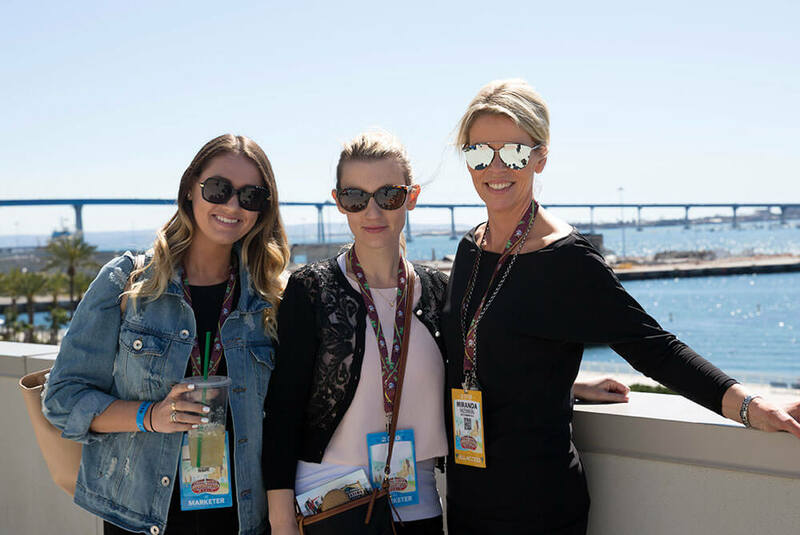 “Before the conference my creativity had taken a big hit, but going to SMMW and meeting so many people I admired and meeting new people, it picked me back up again and lit my creativity on fire and carried through almost a year later,” Crystal Richard. “Social Media Marketing World is a hands-on, how to, one-on-one conversation with experts, kind of conference. You walk away ACTUALLY knowing how to do things better,” Judie Gaines. Need even more reasons to attend? ✅Highly valuable, pitch-free content—our trademark at Social Media Examiner. We don’t allow our speakers to sell from the stage. ✅San Diego waterfront in March—need we say more? Enjoy sunny San Diego at the bayside San Diego Convention Center. ✅Your one-stop-shop for everything in social media marketing. We have it all. Get all the guidance, blueprints, and roadmaps so you can 10X all of your social media skills. ✅Full access to the recordings of EVERY session—if you miss a session, no worries! With your All-Access ticket, you can watch playbacks from your computer, tablet, or smartphone at your leisure! ✅First-class conference experience—from the moment you arrive, your needs will be provided for at every turn. You’ll never be left wondering what to do or where to go. Click here for registration options... Event starts March 20th! Disclaimer: Your results may vary. Participating in this event doesn’t guarantee success with your social media marketing.